For today I have just a short fossil-of-the-day-post. 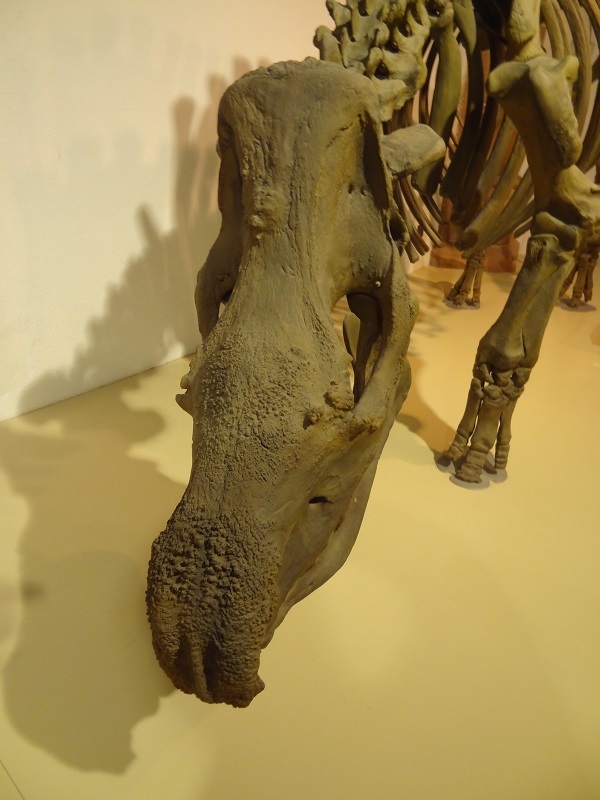 It´s a close-up of the nasal and frontal area of of a wooly rhino´s skull from the Naturhistorisches Museum Mainz (natural history museum Mainz). You can see very well the highly textured bone surface where the two horns were originally growing. The surface is covered by countless burl-like boney outgrowths, which are especially marked in the nasal area where the large first horn was. If you look back at the first photo, you can also see a small gnarly bone formation in the upper third of the crest, right at the middle of the attachment areas of the temporalis muscles. This made me think if there could have been some sort of keratinous formation or even a small horn-like structure, similar to small third horns occasionally found in modern rhinos. 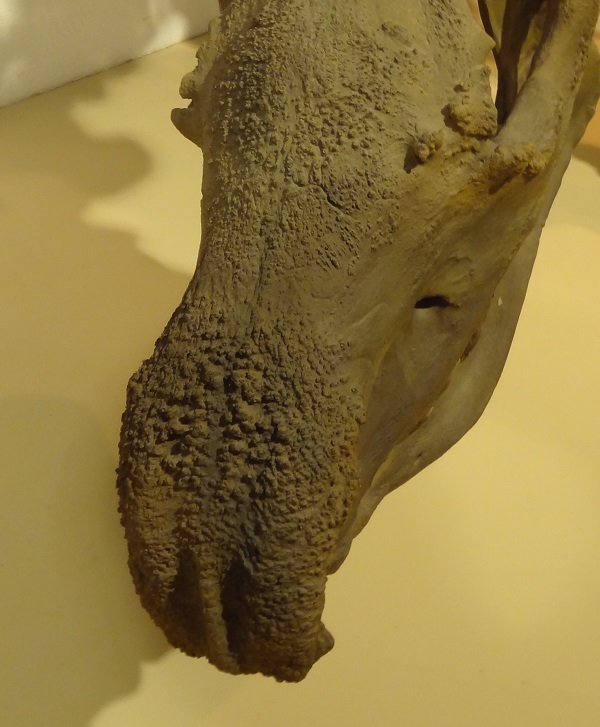 It´s impossible to say this for sure, but who knows what sorts of anomalous horn growth occured in prehistoric rhinos. For more information about weird rhino horns on unusual places and the history of Dürer´s Rhinocerus click here. Dieser Beitrag wurde unter Anatomie, Megafauna, Paläontologie, Säugetiere veröffentlicht. Setze ein Lesezeichen auf den Permalink.